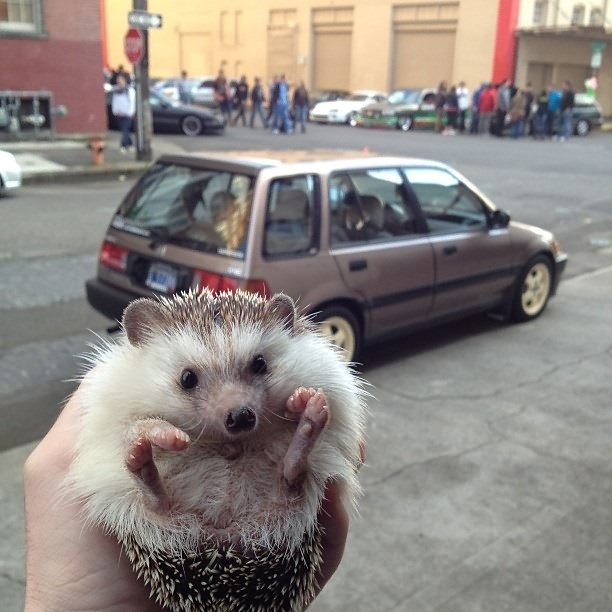 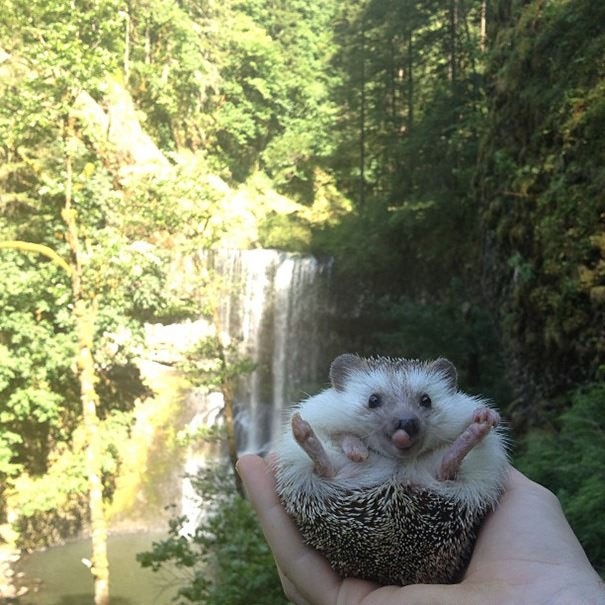 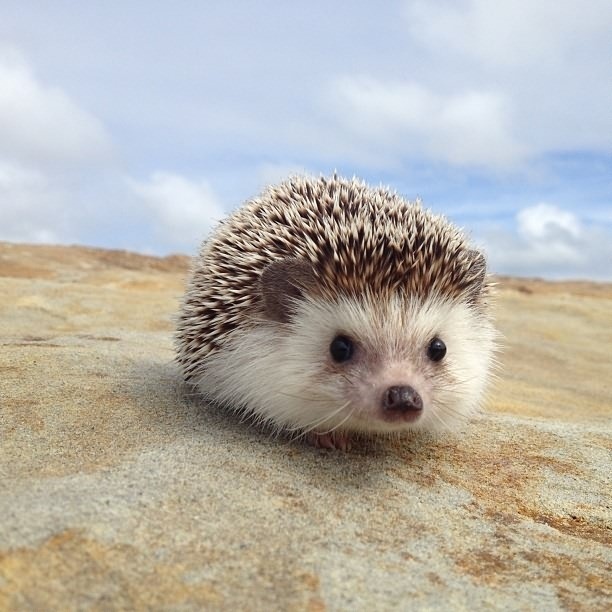 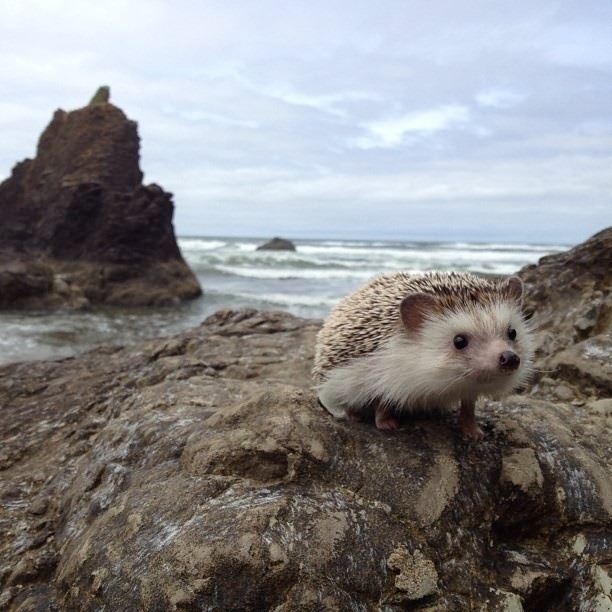 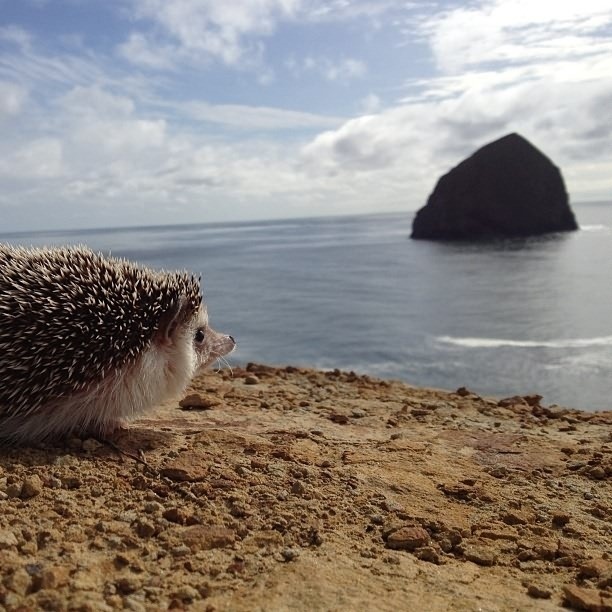 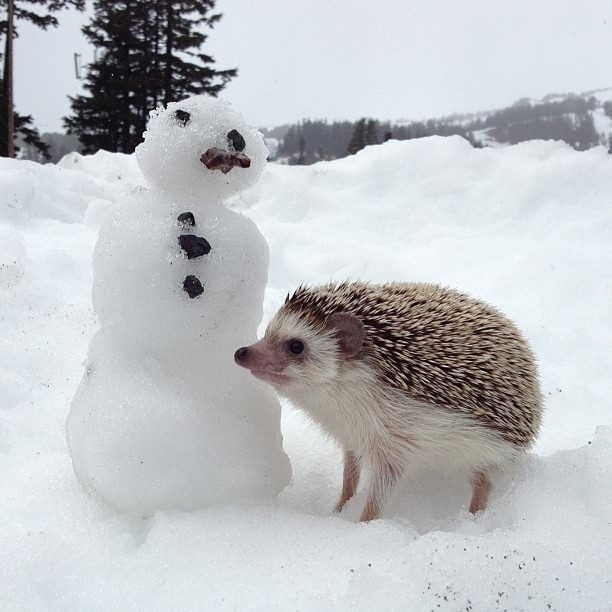 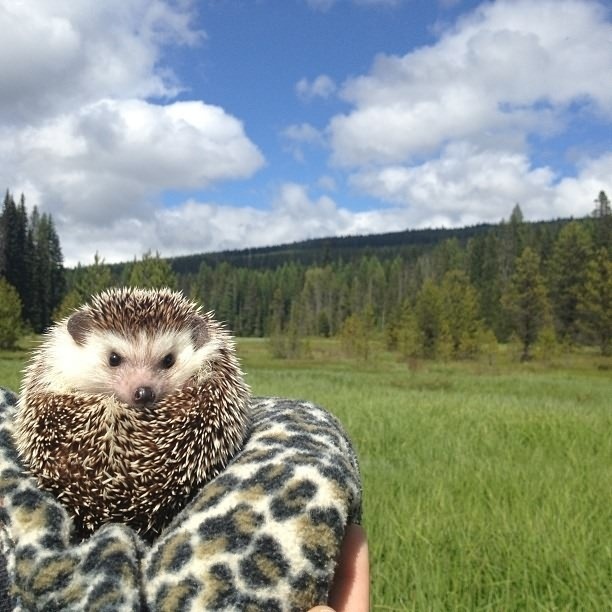 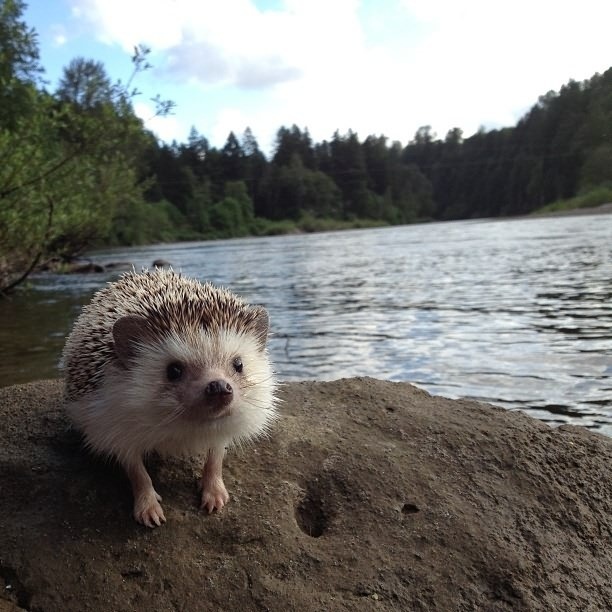 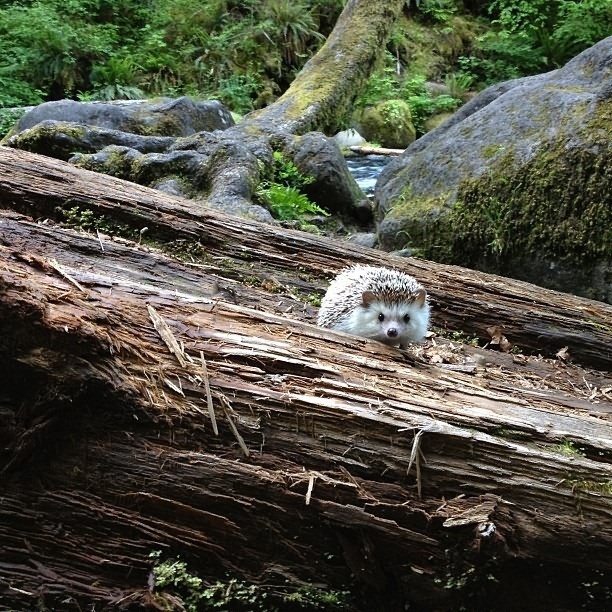 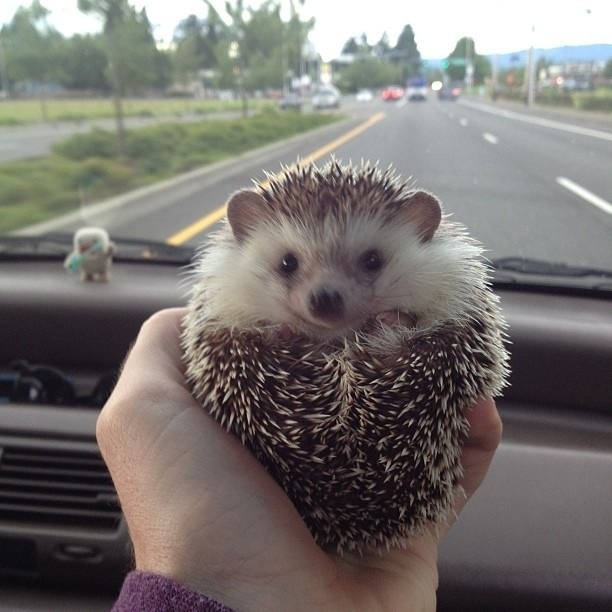 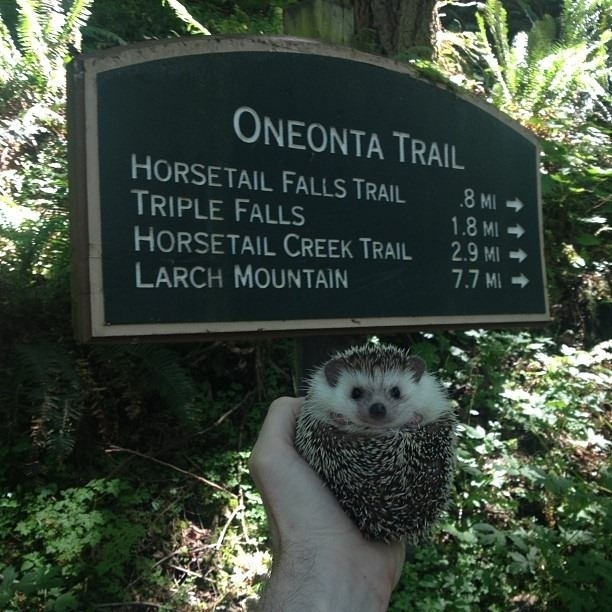 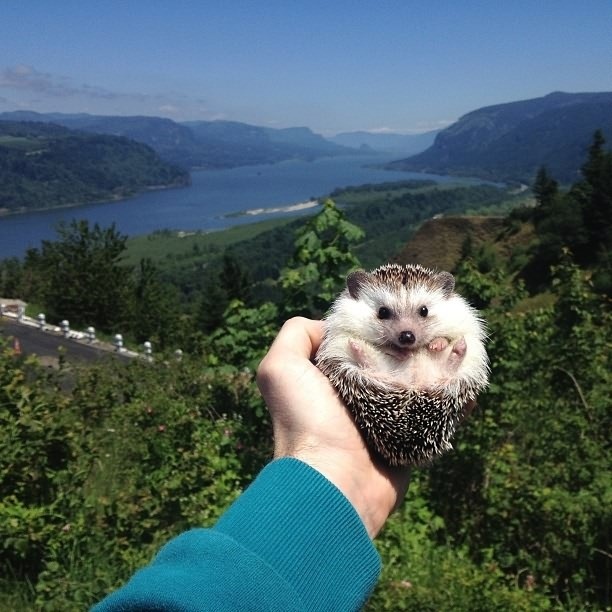 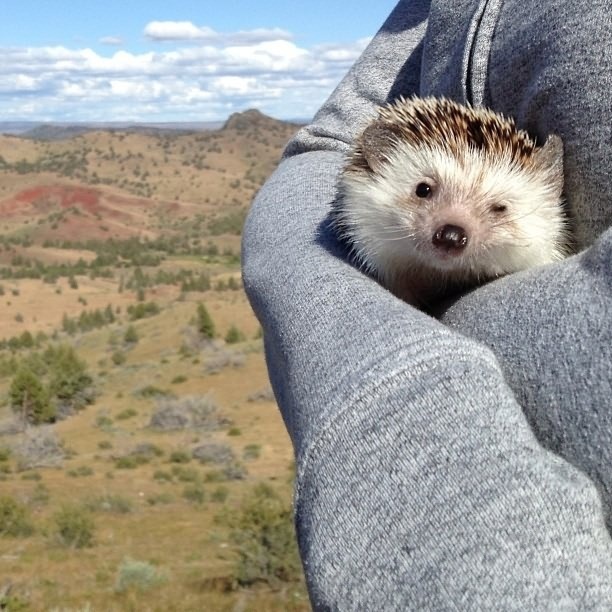 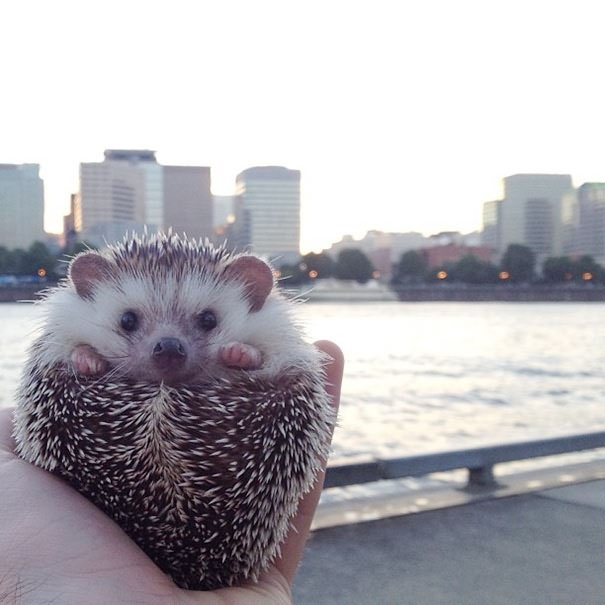 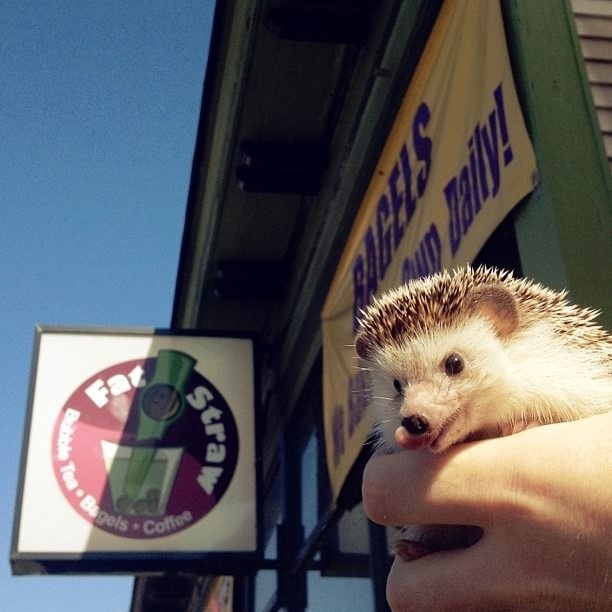 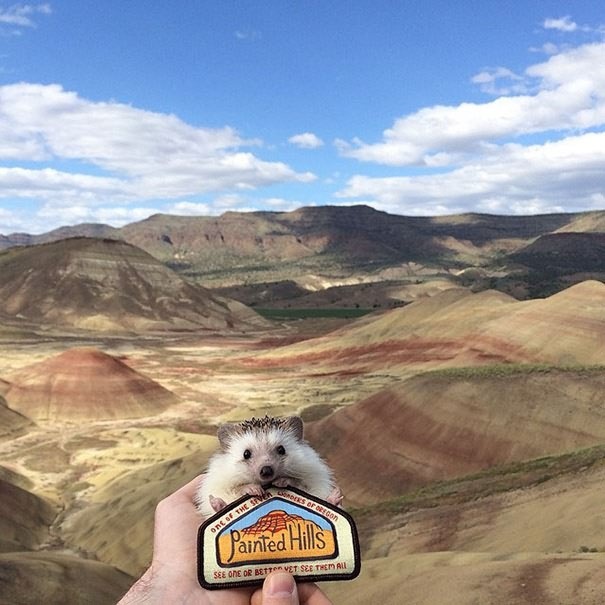 This is Biddy, The Traveling Hedgehog, Who Loves Adventure! 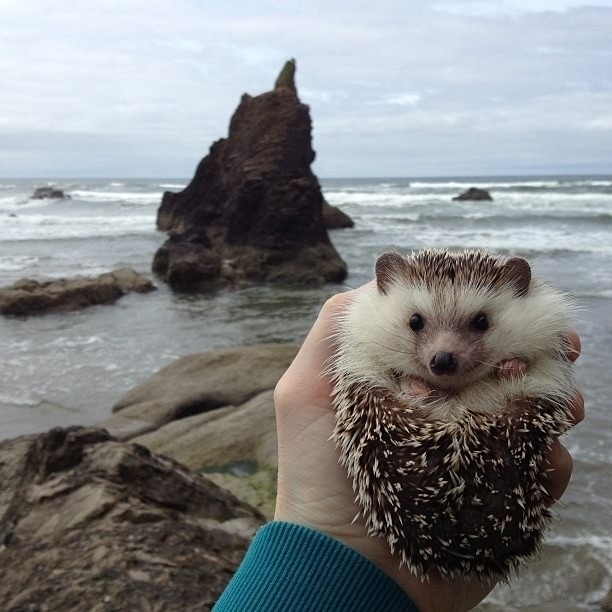 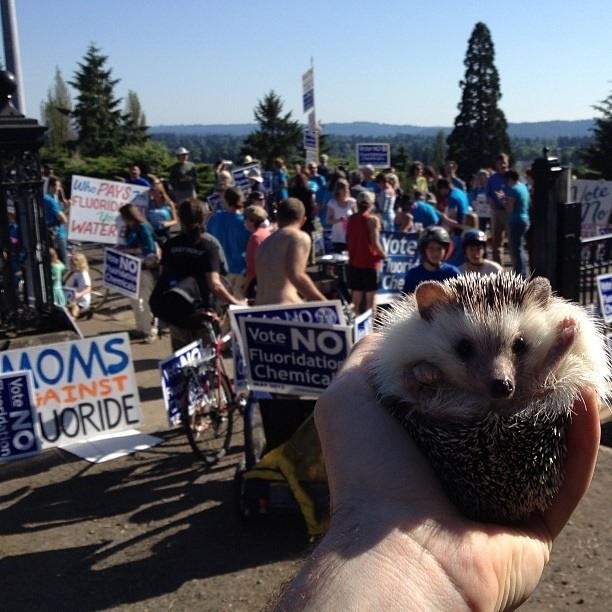 This adorable traveling hedgehog's name is Biddy, and he's been on dozens of adventures with his family. 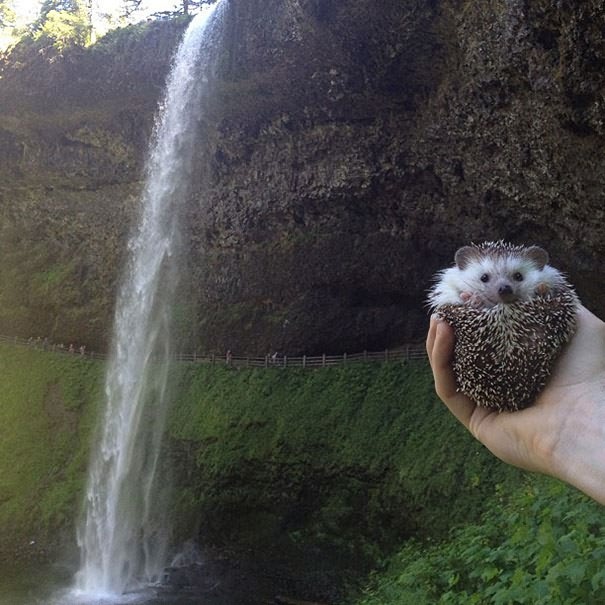 They take Biddy to mountains, forests, waterfalls, and looks cute no matter where he is! 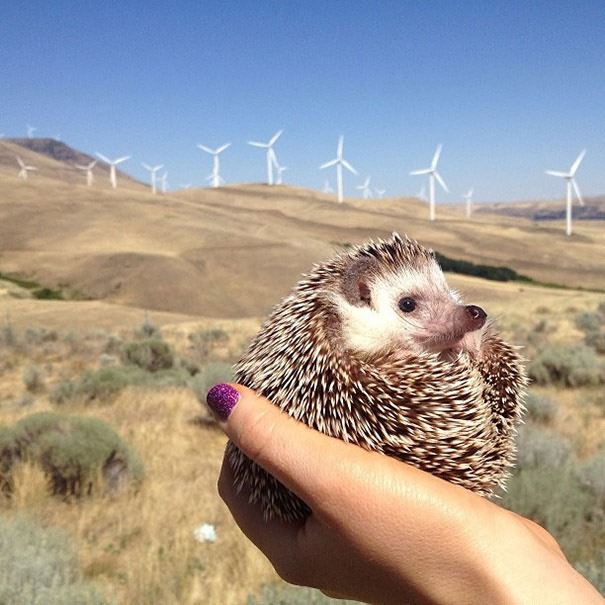 Biddy have almost 400,000 followers on Instagram!